Currently among the residents of Russia became very popular on the Internet. Use it at home, at work, on the road and on vacation. 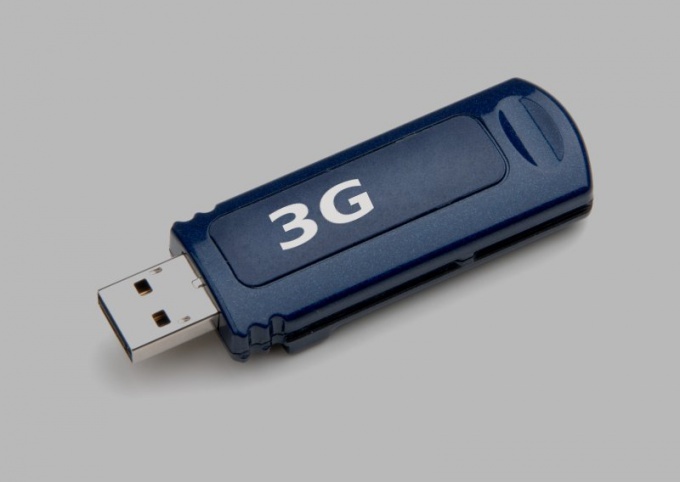 That people have been able to access the global network from anywhere in the country, mobile operators have developed and launched a wireless modem. To use it, you need to purchase a device, for example, the operator "MTS", a SIM card and choose a tariff. The account balance can be replenished in various ways. First of all you need to know the phone number of your SIM card. This information you can look in the contract concluded with the operator the contract for the provision of communications services. If this is not possible, remove the SIM card and plug in a normal mobile phone, then call a friend or send a message to your phone number. Put the money to the account through the terminal. To do this you need to visit the phone store or any store where you installed payment machines. In the display select section "communications services," then click on "MTS" and enter the ten digit phone number. Insert money into terminal and confirm the payment. Within a few minutes (and sometimes hours) the money credited to your account. Be sure to save the receipt. To recharge you can and using the card Express payment. Mobile operator issue cards in the following denominations: 50, 100, 150, 300 and 500 rubles. You just need to erase the protective layer and enter the 15-digit code. Before that, dial the following combination of characters: *111*155#. You can also send code in a message to the number 0850. If you have a Bank card, replenish account with it. To do this, insert it into the ATM, enter the pin code. Select "Payment services", then click "communication Services". In the list that appears, click on "MTS", enter the phone number and the payment amount. Be sure to save the receipt. You can recharge your account through the official website of the company "MTS". For this you need to go to the payment of goods and services, select "Mobile phone". In the opened menu, enter a phone number, enter the amount and the Deposit method (card visa). Click "Next". Enter the card number, expiration date, name on your Bank account and CVV2/CVC2. Finally, click "Pay". To recharge you can in the office mobile operator "MTS" or the company, other than his dealer. If you currently have a personal account number or phone number. 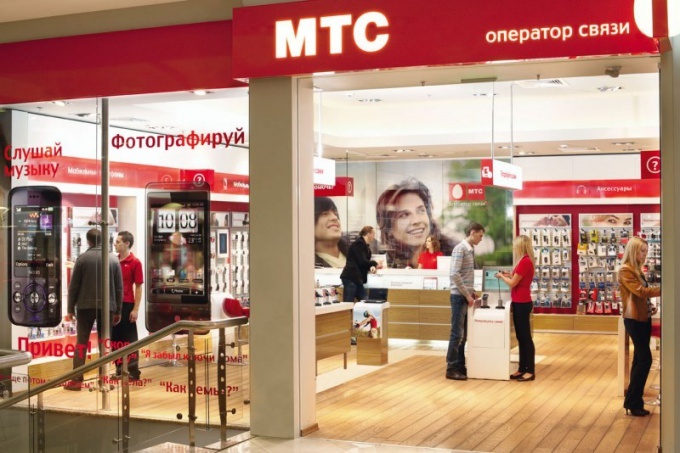 Mobile operator MTS offers the "MTS connect", through which you can get online at any time and in any point of Russia and the world. 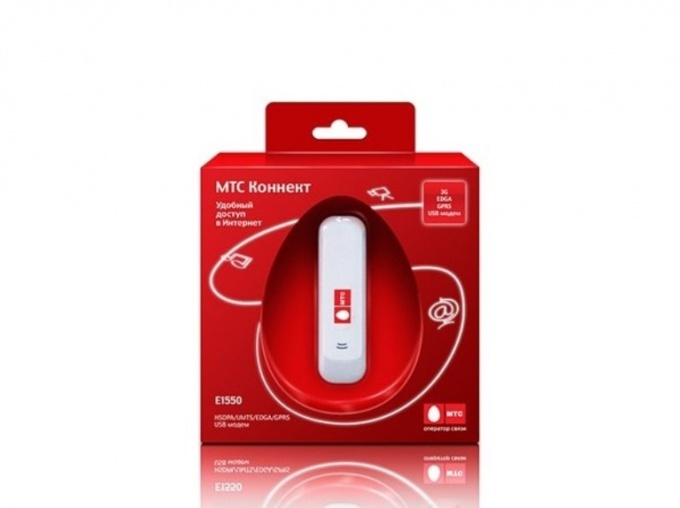 In the package "MTS connect" enter USB-modem and SIM-card MTS. Set the "MTS connect" you can buy in any salon of communication. In addition to the modem and SIM-card you will receive a booklet with instructions. 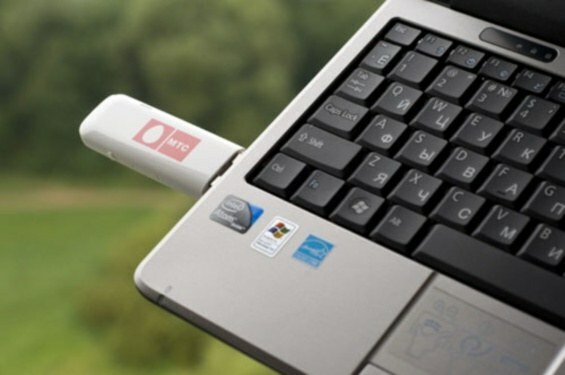 To use the modem is very simple: insert the SIM card of MTS at the modem and connect the modem to the computer via USB. Software will be installed automatically and you will immediately be able to access the Internet. When you purchase the package "MTS connect" you get 1 month of free unlimited Internet. At the end of this month you can choose one of the available unlimited data options. If you do not choose the rate by yourself, then by default you will connect the tariff option "Bezlimit-Super". The rate of "Bezlimit-Super" the most expensive and is characterized in that the speed on it is limited only in case of exceeding traffic of 1000 MB per day. Then there is the tariff "Bezlimit-Maxi" at this rate, the speed is limited when exceeding the traffic volume of 500 MB per day. To connect the tariff option "Bezlimit-Maxi" dial on your phone *111*2188*1#. And finally, the third unlimited plan, available for users of "MTS connect" is "Bezlimit-Mini". This is the most inexpensive rate, speed on it is limited, if you exceed the amount of traffic of 250 MB/day. To mount it you need to dial the phone *111*2180*1#. There is also a tariff option "No monthly fee", using which the subscriber pays 1 ruble per 1 MB traffic. In order to advance to this rate, you must disable the unlimited plan you are using. In recent years, cellular operators have dramatically reduced the cost of unlimited access to the Internet. This innovation was tapped as mobile phones and modemsthat connect to a USB port. Please note that rates for unlimited access to the Internetintended for modems, suggest somewhat high monthly fee compared to the same rates for phones. But conditions softer: the threshold of consumed traffic, after consuming which the speed is reduced much more, or altogether absent. To "cheat" the operator in moving the modem a SIM card designed for the phone, or on the contrary, in many cases, will not succeed. If you want to use the computer unlimited onlineom under the "telephone" rates, connect your phone to the computer via the Bluetooth interface, but in this case, you will have to accept the fact that the speed limit after reaching the threshold will also be "telephone". Make sure you are in the home region, and access is via the Internet-APN. - no speed reduction at all (2990 rubles per month).To connect or disconnect any of these tariffs in Linux, start a terminal program such as minicom, locate the port to which the modem is connected, select the correct speed and parity, and then type the string from the Directive ATDT and one of USSD commands separated by a space. In Windows start the software package supplied with the modem, select the dialling mode and enter one of the commands directly (without a Directive ATDT). These commands are the following: connecting a first rate - *111*2180*1# second - *111*2188*1# third - *111*575*1# fourth - *111*748*1#. To disable any of the tariffs at the same team, in which the digit 1 in front of the "grille" is replaced by figure 2. The operator "Beeline" provides a flat rate for access to Internet with a USB modem at a price of 395 EUR per month. For its connectivity will also need only once to make 100. If you download a month is more than 15 gigabytes of information, speed will decrease to 32 Kbps until the end of the month. For connecting, use the USSD command *110*0802#, to disconnect - scroll back up to rate MBS payment using the command *110*7094#. For each new connection, you will again be taken by 100. The operator "MegaFon" has five unlimited tariffs for access to the Internet, in which the speed is reduced to the end of the month to 64 KB/s after one and a half, two and a half, four, eight and sixteen gigabytes of traffic. The first of them it is, moreover, originally is artificially limited to 512KB/s. their Value is 220, 500, 800, 1100 and 1400 rubles per month. For connection use, respectively, the USSD commands *236*1#, *236*5#, *236*2#, *236*3#, *236*4#, to disable the same commands, in which instead of the format *236*N# the format is *236*N*0#. Mobile operators offer to their subscribers more and more services. It and mobile communications, and messaging: as text and video and photos. Of course, one of the most popular services is the mobile Internet. The provider strives to make their services very convenient for the client. So the problems with how to pay, for example, the Internet generally does not occur. You can pay online MTS via the payment terminals. For this you need on the screen of the terminal to select the corresponding field. Then enter the phone number that caters to your rate. Then enter the amount (it depends on your fare), load in terminal money and obtain a receipt. The service is paid. Another way to pay for the Internet service from MTS, the mobile payment. If you are using mobile Internet, you just need to send a message to the service short number. For example, in Moscow it 089025. Further, following the system prompts, pay for Internet services. To pay the provider you can and through the Internet itself. Go to special section "Deposit account" on the website http://mts.ru. In a designated field, enter the phone number on which you be Internet services. Then enter the amount and method of payment is by Bank card or from the account, i.e. account number. Click "Confirm". Check can print on the printer. Can pay for Internet from MTS via Bank transfer. For this you can either use the ATM of the financial institution where you opened your account or Internet banking. And in fact, and in another case requires the same information: a phone number and the amount to be paid. Can use this payment option Internet service from MTS, the card payment. To buy this at any office of mobile operator or in many trading pavilions and shops. The maximum face value of the card 500 p. So, depending on the amount, choose the number of cards that you need. To activate the card and Deposit money into your account, follow the instructions on the reverse side of the card. To pay for the services of the provider company you can and in the offices of the mobile operator. For this you can simply come to call your number and the amount to be paid. Specialist office will issue you a payment receipt. A similar principle of paying valid Internet and in various retail outlets that accept payments for services of mobile operators.